Oct 07 2012 08:28 AM Favorite Duke Nukem 3d Addon? 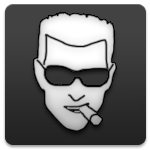 Oct 03 2012 08:48 PM Favorite Duke Nukem 3d Addon? Oct 01 2012 03:52 PM Best mods - point me towards them! Sep 29 2012 09:57 AM Best mods - point me towards them! Sep 28 2012 07:57 AM Your Favorite Duke3D Episode(s)? Sep 28 2012 04:48 AM Your Favorite Duke3D Episode(s)? Sep 12 2012 02:59 PM L.A. Meltdown Remake Project. Sep 12 2012 02:37 PM L.A. Meltdown Remake Project. Sep 12 2012 02:29 PM L.A. Meltdown Remake Project. Sep 12 2012 11:52 AM L.A. Meltdown Remake Project. Sep 12 2012 09:46 AM L.A. Meltdown Remake Project. Sep 12 2012 06:03 AM L.A. Meltdown Remake Project. Sep 12 2012 04:22 AM L.A. Meltdown Remake Project. Sep 11 2012 08:45 PM L.A. Meltdown Remake Project. Sep 11 2012 06:30 PM L.A. Meltdown Remake Project. Sep 11 2012 12:51 PM L.A. Meltdown Remake Project. Sep 11 2012 10:54 AM L.A. Meltdown Remake Project. Sep 11 2012 04:35 AM L.A. Meltdown Remake Project. Sep 01 2012 11:54 AM Best mods - point me towards them!